Left to Right: Mother, Marva Gardner; James Frazier; Edward J. Foster, Esq. (PRLEAP.COM) April 7, 2019 - Edward J. Foster, Esquire of Counsel with The Law Office of Alva & Shuttleworth, LLC working with Michael Garmisa of the Philadelphia District Attorney's Office Conviction Integrity Unit Has Overturned a Wrongful Conviction for James Frazier an Innocent Man Convicted and Imprisoned for Seven Years for a Double Murder Where the Only Evidence Against Him was a Coerced Confession. 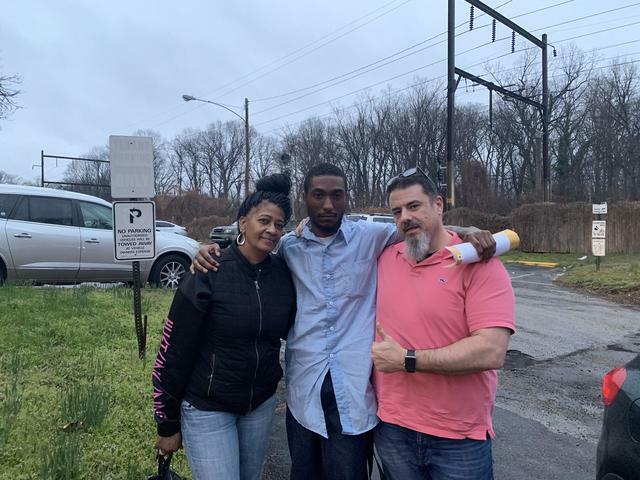 On March 5, 2019, the Honorable J. Scott O'Keefe of the Court of Common Pleas of Philadelphia County ordered that the 2013 conviction of James Frazier be vacated and he be granted a new trial after the Commonwealth conceded to Mr. Frazier's Petition for Relief Pursuant to the Post Conviction Relief Act. On April 4, 2019, Judge O'Keefe granted the Commonwealth's Motion to withdraw the prosecution against Mr. Frazier. This comes two years after Mr. Frazier's PCRA Petition was filed and then after several months of hard work and cooperation between Mr. Foster and Michael Garmisa of the Philadelphia District Attorney's Office Conviction Integrity Unit. This is a tremendous day for justice for Mr. Frazier who has been adamantly proclaiming his innocence since he was first charged for this tragic double homicide in June of 2012.